Teams from ARC compete in the Birmingham and District Invitation Country League (men) and the Midland Women’s Cross Country league. Although the 2018-19 season is now over It's not too early to start to think about joining us for 2019-20! Have a look at the video of the relays to get a feel of the fun and challenge you might have. Well done to the men's team who came 7th overall in their league in the 2018-19 season and to Liam Harrold who was 21st overall in the individual placings. The women's team finished 15th in the league and 9th in the Masters' league, with Helen Beecham coming 26th overall in the Masters competition. There are four league events each season – November, December, January and February. Additionally there are relays, a 5 (ladies) and 7 (men) mile race and Midland area championships which we can enter if there is sufficient interest. If the National championships are in our region we also like to enter these. An ability to eat cake! The courses usually consist of laps of (very) approximately 2 miles long, with women running two and men three laps (official distances are 6k for women and 10k for men, with championships 8k and 12k). Team results are calculated using the first six members’ times (men) or the first four members’ times (women). The women's Masters' team (> 35s) uses the first three members' times. Most members meet at the Stick & Wicket and travel together. Team captains are Simon Hudson (men) and Anne Kelsall (women). Contact us if you’d like to join in the fun. 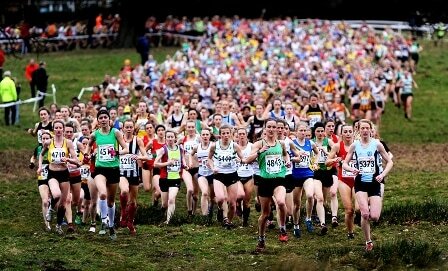 As well as the cross-country events we take part in the Midland Road Relays in Sutton Park, where there are 6- (men) and 4- (women) stage relays in the Autumn (all legs 4.3k) and 12- (men) and 6- (women) stage relays in the Spring (mixture of 5 and 8.6k legs). 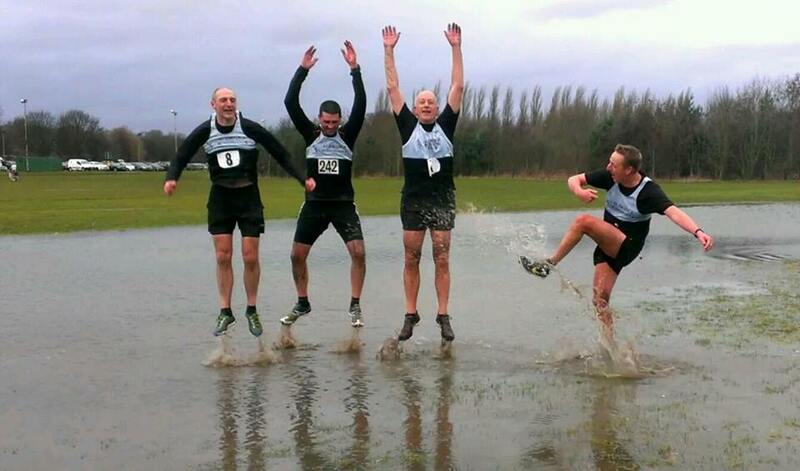 There is also a Midland Masters Relay (age 35+) competition in May, with 3 mile legs. All these relays take place locally, in Sutton Park.